What are these marks on the front of cylinder head? I have a 2002 with 20k miles on it. There are odd manmade marks on the front of the head - see attached image. Anyone else have these? I assume they were put there during engine assembly to note proper torque on those fasteners. But it certainly doesn't look like something that would come from the factory. I have records back to the 1000 mile mark, and no indications that the engine has ever been opened up. Any ideas what these marks are about? Someone was playing tic tac toe with no O’s. No marks like that on my ‘01 nor my ‘03. Those are factory soapstone markings from the original build. I have seen those Xs countless times. You just set my mind at ease Billman! Thanks!! Soapstone eh ? , very cool , first time I've seen pics of them. Nice. What would we do without Billman? Man! That is one CLEAN 17-year-old engine! Any photos of the rest of the car? Lots of pics in the sale ad here. I plan to list on BAT in about a month. Probably won’t get this price, but worth a try. 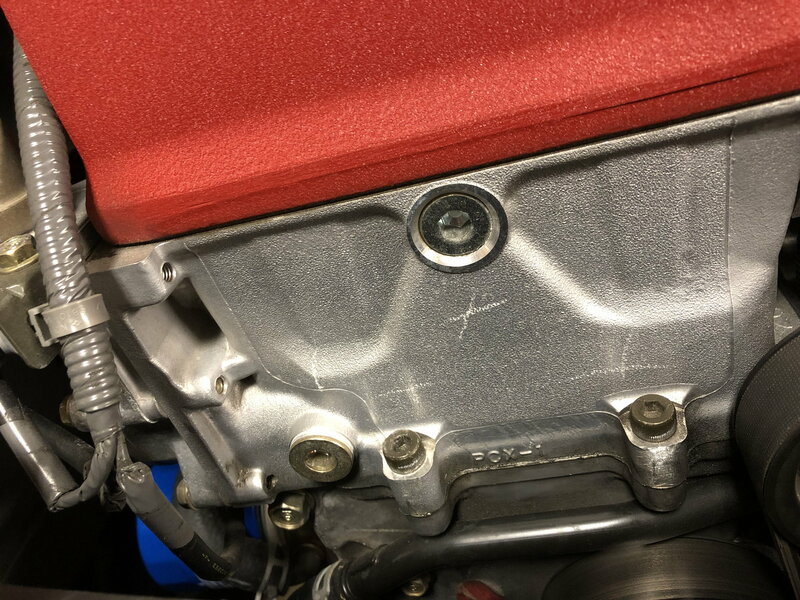 Quick Reply: What are these marks on the front of cylinder head?